Te Māniaiti would restore the original Māori name of the area. 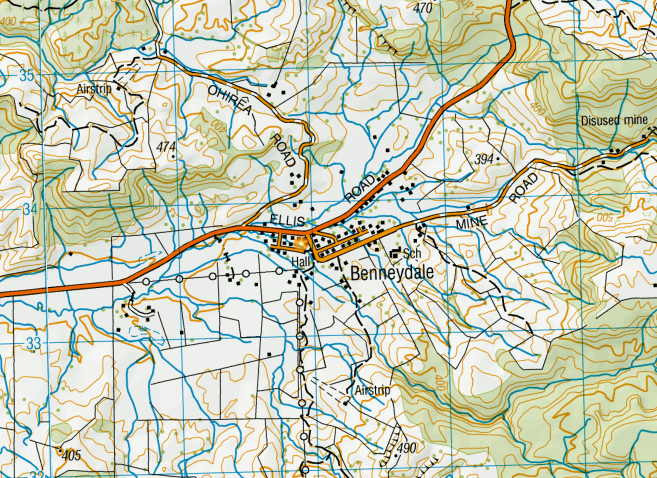 Benneydale, which reflects the coal mining heritage of the township, has been in long term use. NZGB Proposal Report for Te Māniaiti (PDF 395KB) - The NZGB considered this original proposal report to change Benneydale to Te Māniaiti at its meeting on 28 June 2018. Some recommendations are edited to reflect the decisions the NZGB made at that meeting. The NZGB deferred making a decision to get more information. NZGB Deferral Report for Te Māniaiti (PDF 336KB) - The NZGB reconsidered the proposal at its meeting on 27 September 2018. The NZGB decided to accept a proposal to change Benneydale to a dual name Te Māniaiti / Benneydale. The proposal is notified for three months so the public can make submissions supporting or objecting to the name being changed.